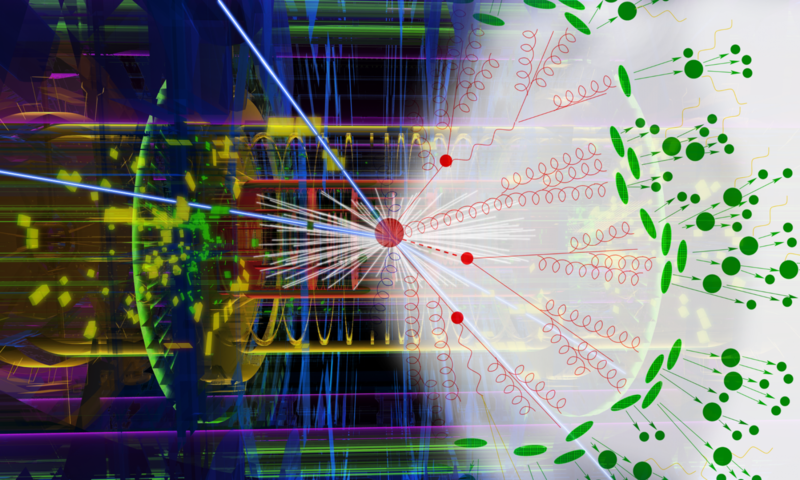 We are an institute of particle physicists trying to understand the fundamental building blocks of nature. We like to keep the public engaged in our activities by bringing our exhibits to as many outreach events as we can. As an institute we are on a quest to understand the tiny. We do this by developing models and simulations to discover how the Universe works at the largest and smallest scales. Initially, these techniques allow experimentalists to optimally design their detectors, maximising chances of discovery. When taking data, our tools crucially separate the often small signal from the overwhelming haystack of the experimental background. This is how plan to help the scientific community to discover what is Dark Matter for example. Our outreach activities took off in the Summer of 2017, when we brought an exhibition to the Royal Society Summer Science Exhibition, called Modelling the Invisible, where the public were able to use simulations built by us in order to solve physical problems in the same way researcher do. Here is the link to our flyer and brochure. This Summer we took part again in the Royal Society Summer Science Exhibition in London, with a joint force with other UK universities. This time we wanted to tell the story of neutrinos, a.k.a. the Ghosts in the Universe. See for yourself why we call them ghosts. Don’t forget to follow us on twitter for more!